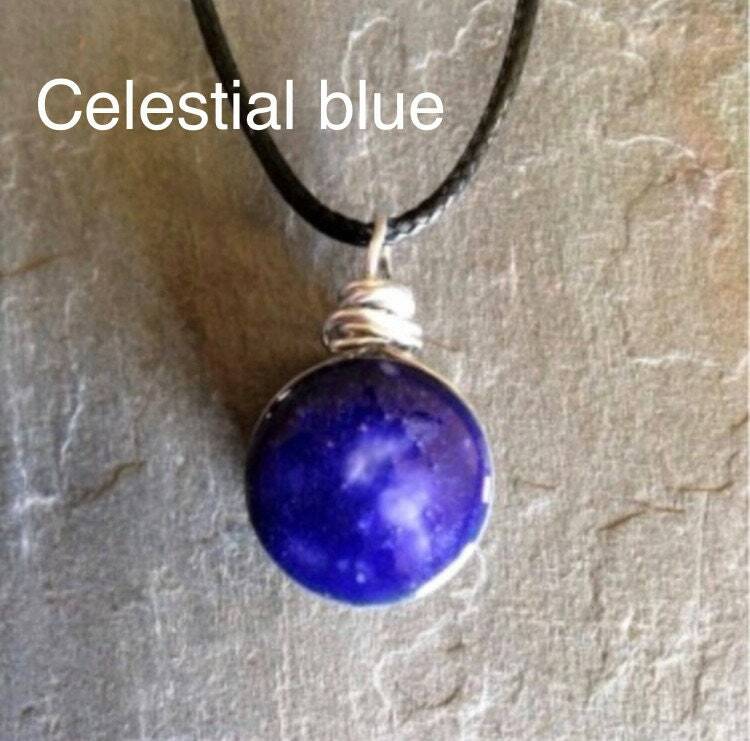 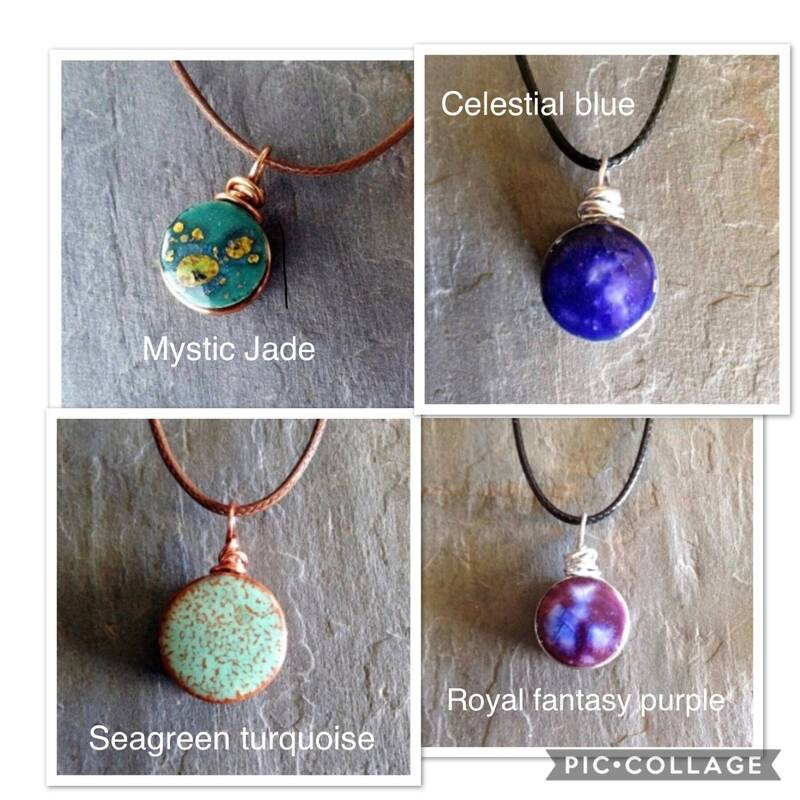 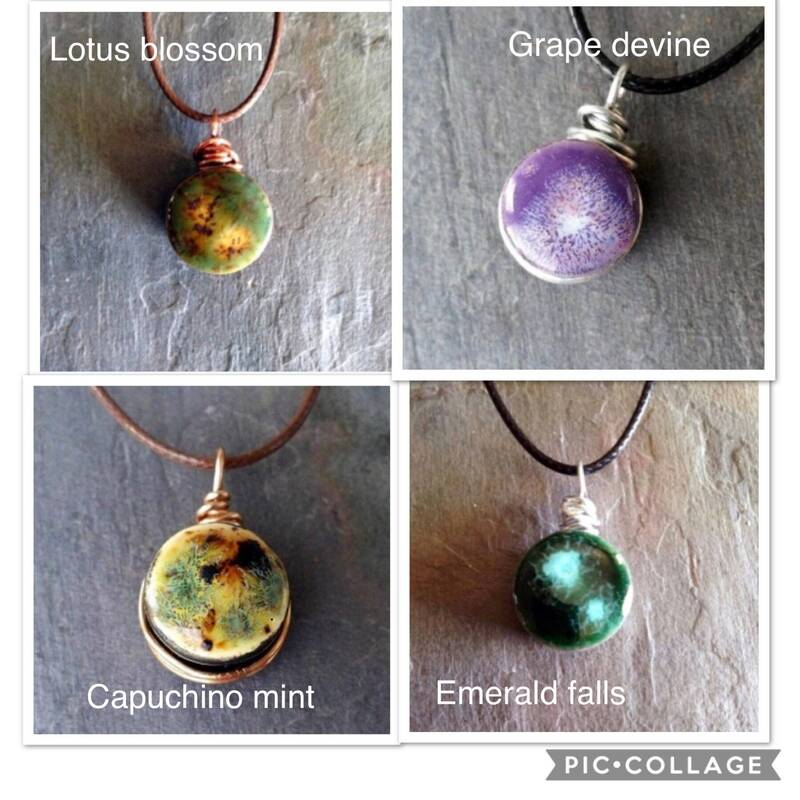 These beautiful glass glazed ceramic aromatherapy necklaces make a great jewelry piece with the benefits of aromatherapy. 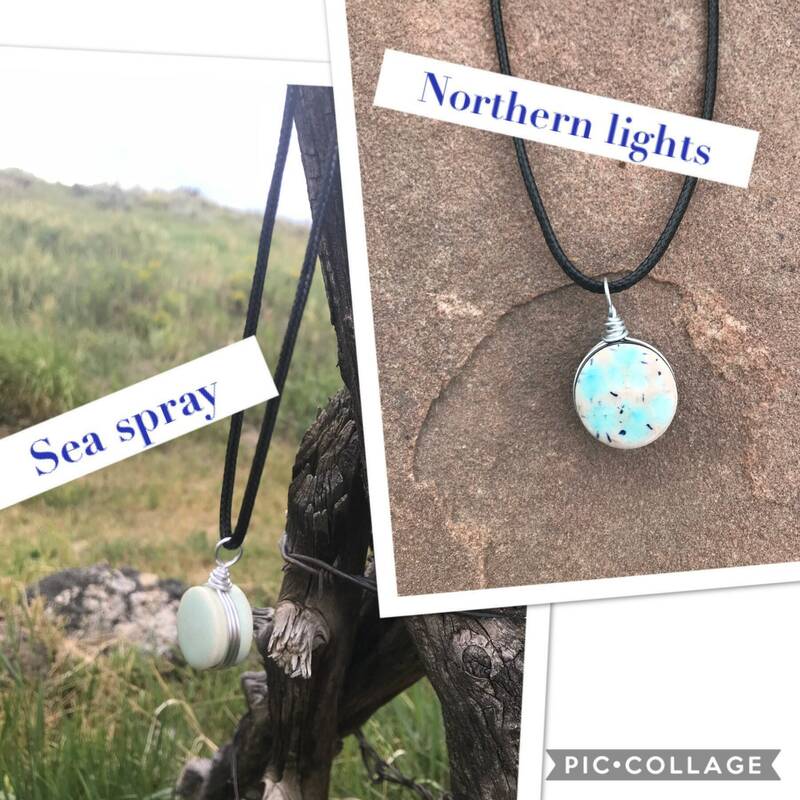 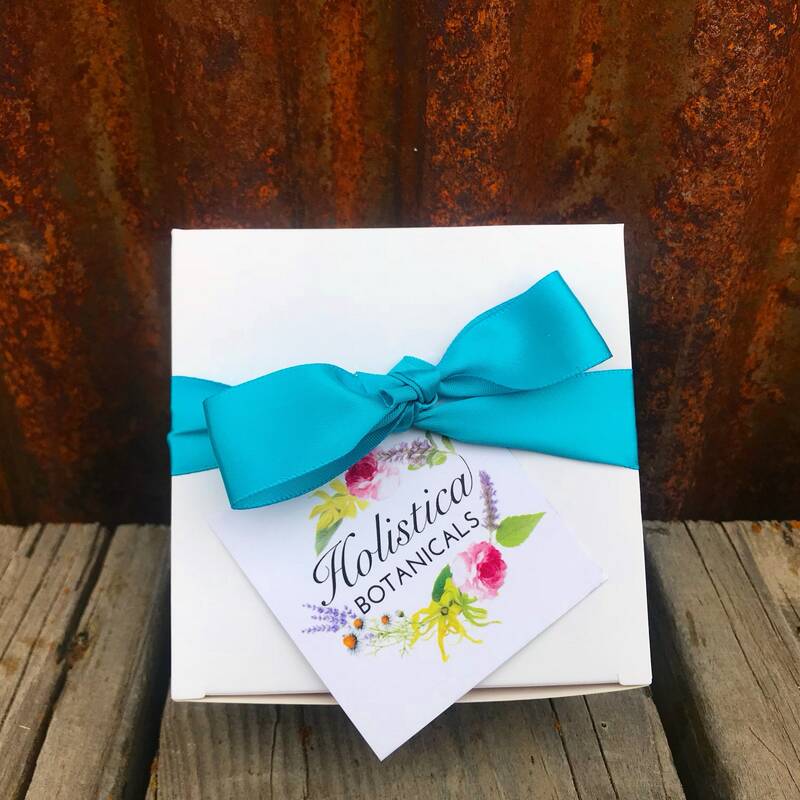 Simply drop 1-3 drops of your favorite essential oils in the back opening of the pendant and enjoy the scent for up to 3 days. 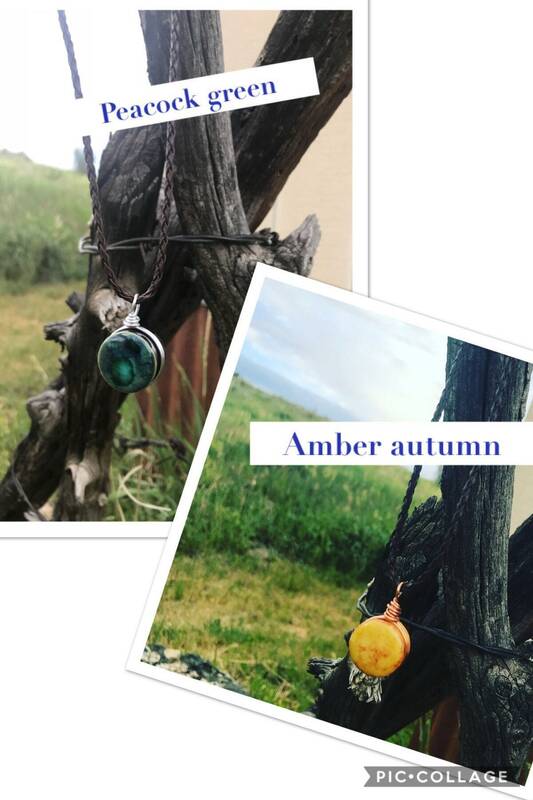 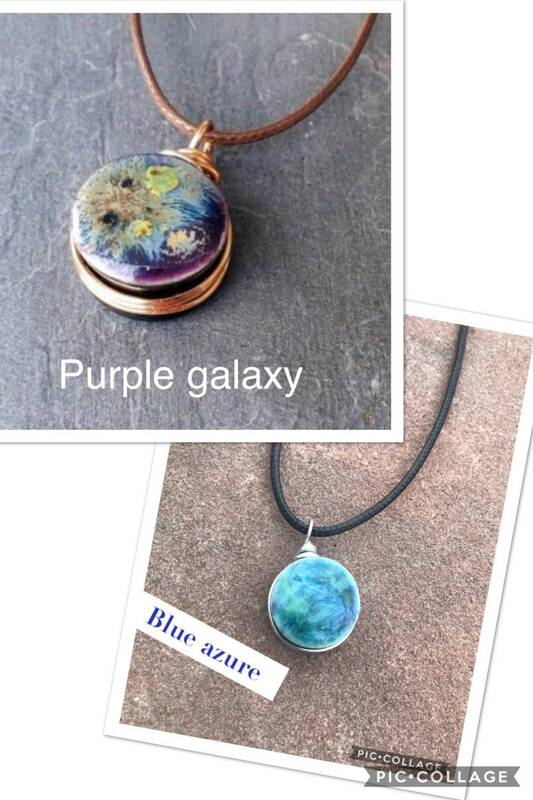 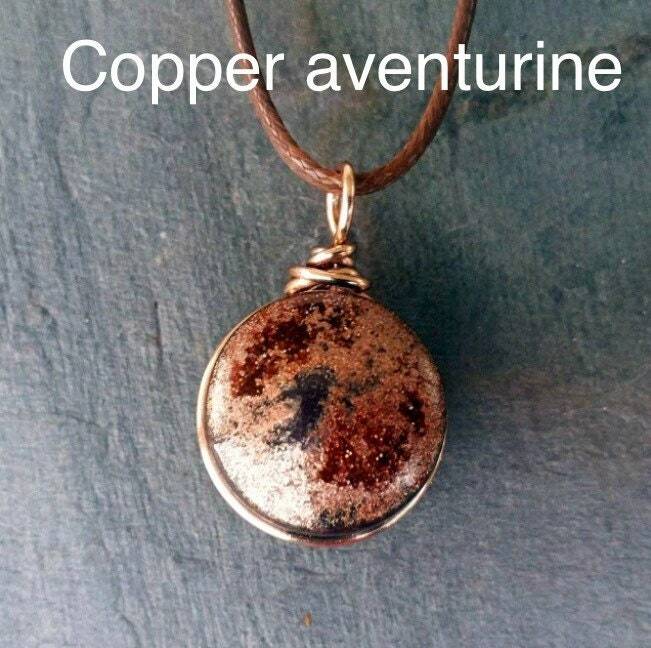 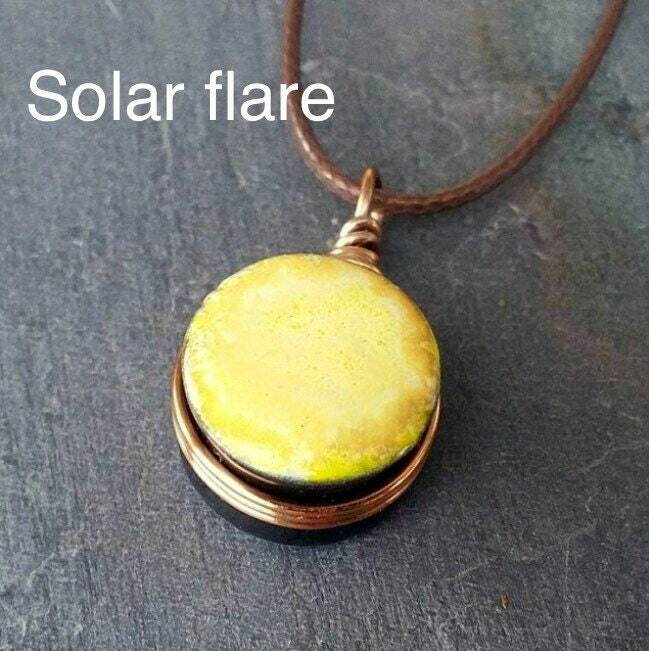 The pendants are wrapped in copper or silver plated aluminum wire and a braided leather cord.